The PowerLINE WiFi 1000 Essentials Edition extends your WiFi network at 1 Gbps speeds with Homeplug AV2. It's perfect for connecting smart TVs, streaming players and game consoles for HD video streaming and lag-free gaming. It sets up in minutes and Push-and-Secure encrypts the connections with the touch of a button. 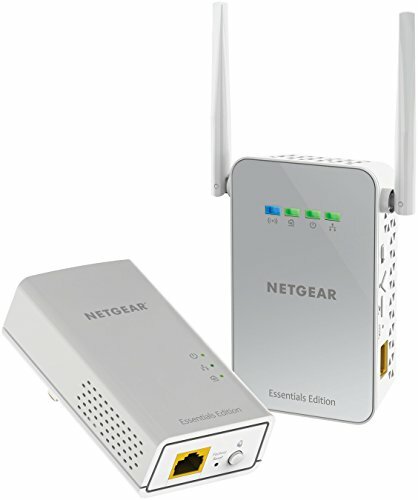 Comes with a WiFi Powerline extender to provide wired and wireless coverage to hard-to-reach locations.